Margaret Wander Bonanno is an American science fiction writer, ghost writer and small press publisher. She was born in New York City. 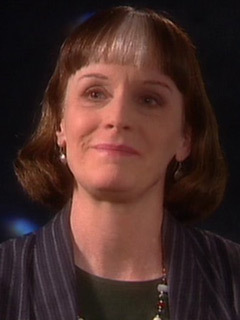 She has written six Star Trek novels, including Strangers from the Sky. She has written several science fiction novels set in her own worlds, including The Others, a collaborative novel with Nichelle Nichols, a biography, and other works. Her novel Preternatural was a New York Times Notable Book for 1997. Preternatural 3, a sequel, was a New York Times Notable Book for 2002.